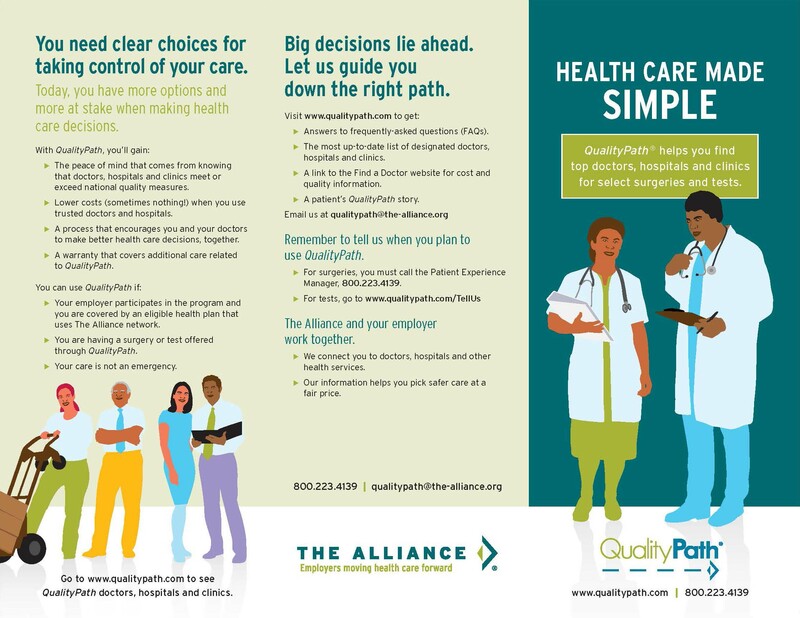 Materials to help your employees understand the benefits of QualityPath. Learn more by clicking on the title of each piece. This map shows The Alliance network area and the locations of designated hospitals for QualityPath procedures. 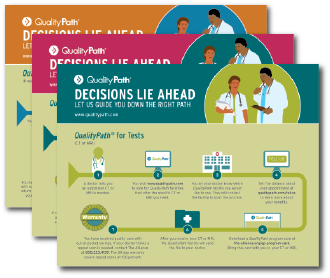 Download this full-color, trifold brochure to share vital information about QualityPath with your employees. This brochure can also be combined with a letter for mailing directly to employees and family members at their homes. A limited supply of printed brochures is available free from The Alliance. The Alliance also has a limited budget available to help with direct mailing costs. Contact Marketing Communications at 608.276.6630 for more information. These four-color graphics help employees understand how their care will move along the QualityPath for surgeries, colonoscopies and CT/MRIs. The QualityPath FAQs will help you answer common questions from your employees. 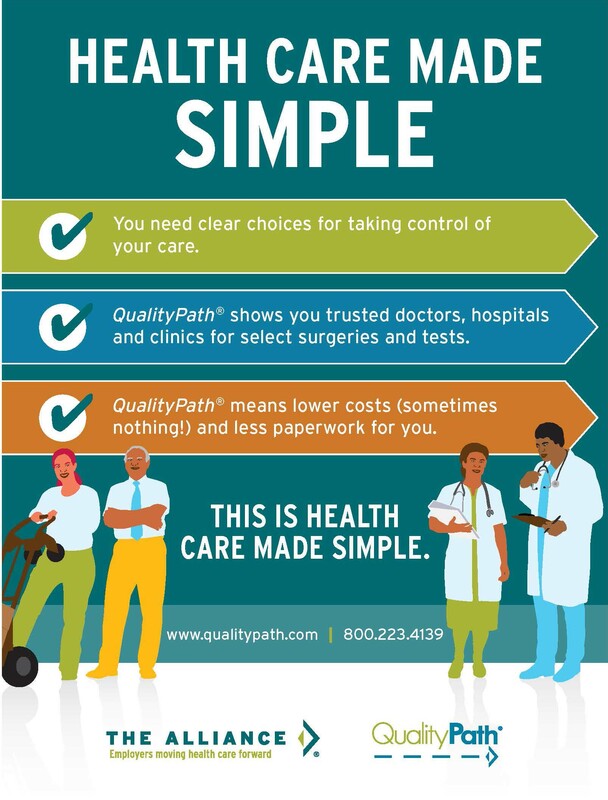 Consumers can access the FAQ anytime by going to www.qualitypath.com. Download our poster to print and display in your workplace. Poster can be made available in other languages on request. Contact The Alliance Marketing Communications team at 608.210.6642. The QualityPath logos may be used to provide visual aid for the written content.